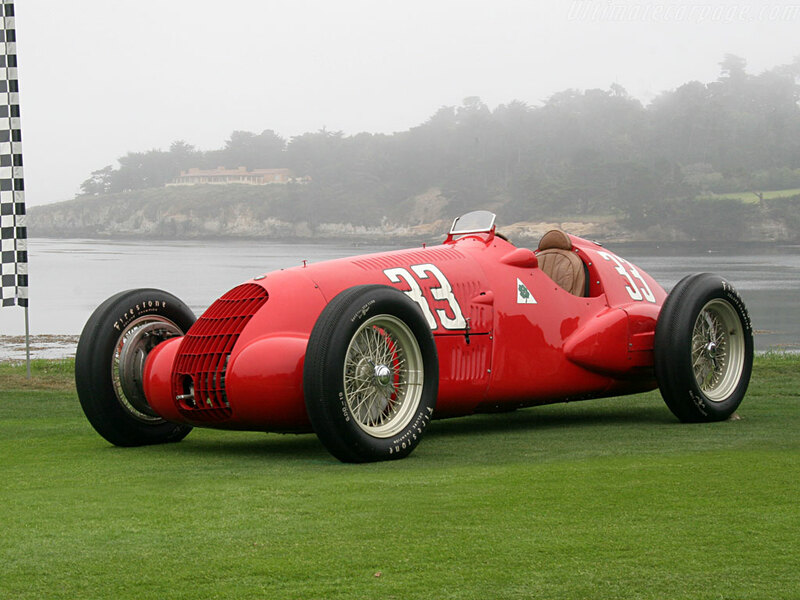 The Alfa Romeo 308 or 8C-308 is a Grand Prix racing car made for the 3 litre class in 1938, only four cars were produced, actually modified from Tipo C with the engine mounted lower into the chassis and a slimmer body. The chassis was derived from the Tipo C and the engine from the 8C 2900. The 308 was engineered by Gioacchino Colombo under the control of Enzo Ferrari who was then in charge of Alfa's racing team, Alfa Corse. The car debuted at the Pau Grand Prix in 1938, two cars were entered to race, one for Tazio Nuvolari and the other for Luigi Villoresi. Both drivers had to withdraw from competition, however Nuvolari had by then set a lap record. The next race was the Tripoli Grand Prix. The new 312 (3-litre, 12 cylindres) and 316 (3-litre, 16 cylindres) were entered, but they got engine trouble during practice and Clemente Biondetti took the start at the wheel of the 308 held in reserve. He failed to finish while Hermann Lang driving a Mercedes-Benz W154 was the winner. In this race Eugenio Siena driving a 312 was killed after hitting a wall. In the 1938 Mille Miglia, Clemente Biondetti and Carlo Pintacuda took the first two places. 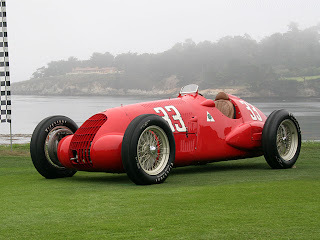 Biondetti's car used a 300 bhp (220 kW) Tipo 308 engine, while Pintacuda's used a 225 bhp (168 kW) 2900B. In 1938 and 1939 Raymond Sommer managed to win a couple of hillclimb competitions at La Turbie with 308 and in the 1940s Jean-Pierre Wimille won a couple of races in Europe. One of the cars was brought to Argentina where it gathered some success and victories in the hands of Óscar Alfredo Gálvez. The car that Gálvez used in Argentina is now in the Juan Manuel Fangio museum. One of the cars was sold to USA after World War II and Louis Durant drove it to 6th place in 1946 Indianapolis 500, next year it placed 7th with Walt Brown. In 1948 Johnny Mauro drove the car to 8th place, this car is now located in Indianapolis Motor Speedway Hall of Fame Museum, probably it is the same car that was also used in Indianapolis in 1940, which was Raymond Sommer's ex car. Overall Alfa Romeo's 3 litre formula cars (Tipo 308, 312 and 316) were not a great success. Instead, the new car for the 1500 cc class, the 158 voiturette, designed in 1937 and first raced at the Coppa Ciano in August 1938, proved much more successful. Last updated on 10 March 2014 at 10:37.